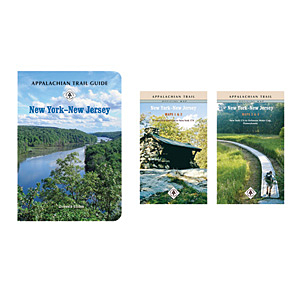 Appalachian Trail Hiking Maps: New York-New Jersey, by Appalachian Trail Conservancy, 2007. The two excellent two-sided waterproof trail maps, four sections total, may be purchased separately from the guidebook. Scale is 1:63,360, 100-ft. contours, full color, with elevation profiles.